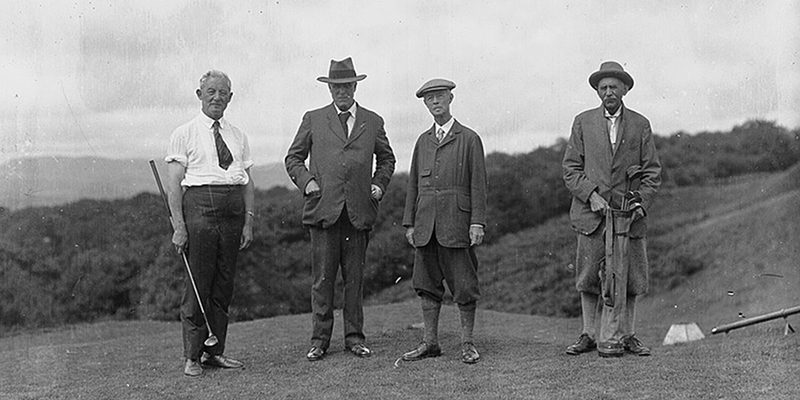 THE HISTORY of how golf helped to shape one of Britain's most iconic seaside towns has been revealed in a new study by the University of Chichester. Bournemouth’s tourism trade boomed in the late nineteenth century due to the popularity of the game, according to academic Paul Wheeler, a senior lecturer from the University’s Institute of Sport. His findings, presented to town residents earlier this month, also revealed the impact of the sport on the region’s many hotels, which lured golfers to the seaside resort by emphasising mild winters that allowed all-year play. Mr Wheeler, a Programme Leader for the BA (Hons) in Sport Business and Management, will publish his research next year as part of his PhD. He said: “Golf was an important element in the development of UK seaside resorts in the nineteen and early twentieth centuries. As part of his investigation into the history of golf tourism, Mr Wheeler examined the archives and historical minutes of Bournemouth’s clubs and hotels to chart the popularity of the town’s sporting events. Further time was spent at the British Library exploring its newspaper archive and biographies of the victors. To read a blog about Mr Wheeler’s research about the history of golf tourism go to https://histgolftourism.wordpress.com. Further insights into his academic study are available at www.chi.ac.uk/staff/paul-wheeler. For more about the innovative research undertaken within the University of Chichester’s Institute of Sport go to www.chi.ac.uk/sport.